Here are some books that you need to check out. Also, I’m so sorry for keeping you on the hook for so long. Sorry I haven’t blogged sooner. The emails have piled up and up. I have heard your pleas. And still for so long I found myself unable to blog. What can I say? When you work with an amazing company that you’re dedicated to making better, when you’re writing and strategizing content for a young startup that you know will make it big some day, and when you have such a lovely partner to spend your weekends with, it can be hard to find the time to write. Two books related to content marketing/digital marketing/online branding that anyone interested in said industries should read. Yes, clients, even you. Both of these books are very fast reads and clearly for the better benefit from the the blog-to-book model, which is in no ways is a slight. These authors know their niche and know it well. They have spent years documenting their explorations and experiments in blogs, so it only makes sense that they pull from them. Evergreen will make you change the way that you at your relationship with customers. 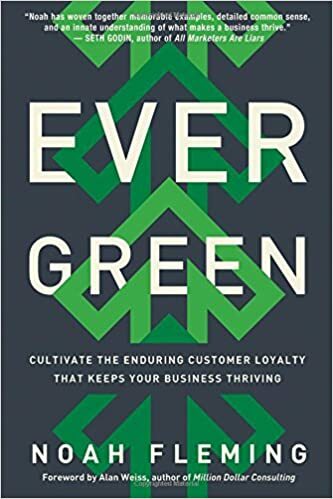 The goal of the book is making a company an evergreen (read: never dying) company, and the best way to do that isn’t just by getting new customers, it’s about keeping the customers you have. Yes, there are some customers that will be hard to keep, there are some customers that you won’t want to keep, and Noah Fleming helps you sort from them. There’s also some great knowledge on finding new customers and taking on-trial customers and making them lifetime ones. If your business deals with customers in any capacity, you should read Evergreen. Who is Joe Pulizzi? I’ll admit. I had know idea beforehand. Worse, once I recommended him for my company’s book club, I couldn’t for the life of me remember how to spell his name. Pulluzi? Poluzzi? Pulizzzzi? If you have trouble, just remember “pul(se) izzi”. It helped me. Names set aside, Content Inc. is a content marketing bible. Pulizzi knows his stuff. He’s the founder and CEO of a company that got in on the Content Marketing game when it was young. In reading Mr. Pul(se) Izzi’s book, you’ll learn about content strategizing (what’s your sweet spot and what’s your tilt? ), content calendars (how do I go about organizing all of this there content? ), leveraging influencers, utilizing social media, content creation, and content repurposing. In the industry of ORM, it can be hard to find books that speak so specifically to our specific multi-faceted niche. Content Inc. does that, and it also speaks to so much more. If you’re curious about content marketing you should read Content Inc. 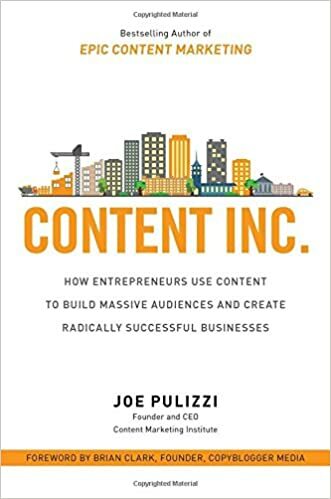 If you’re business wants to thrive on and off of the internet, you need to read Content Inc.
As always, thanks for reading. Next blog post should only be four months away. If you have any thoughts on the above, please drop me a line! During a recent Whiteboard Friday on Moz, Rand Fishkin went into the nitty-gritty on how Google may vet content. We say may, because without a confirmation from Google, it’s near impossible to know. That said, we can see patterns and those patterns can lead us to insights. Does your content contain keywords and synonyms that much up with other authoritative sites on the same topic? Do the keywords in your headline and body match up? Does your content contain keywords that often occur in other authoritative sites regarding the same topic? What is the content length, comprehensiveness, reading level, and sentence/paragrph format that people are looking for when they search your target keywords? Are they expecting listicles, long-form essays, short blurbs, or multi-page behemoths? Is your particular brand name or site domain closely associated with the covered content? Is the type of article you are writing often associated with video, audio, or pictures? Does your content (particularly in the case of YMYL Queries or Your Money or Your Life Queries) present accurate information? Does your content target a specific phrase/sentence structure in the query? When it comes to SEO, Google has confirmed that Content and Link Structure are among the most important variables. Of course, even within content there are also many variables at play. For more content insights, check out the Content section on Moz.